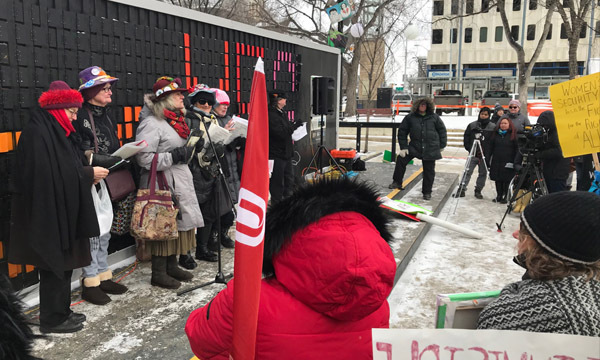 UFCW 401 staff were on hand to join approximately 200 women and men who gathered in Edmonton’s Churchill Square on Saturday to raise awareness of the ongoing need for gender parity and support for women struggling with violence in their homes and inequity in our workplaces. Also highlighted were issues relating to transgender rights, support for First Nations women and communities, women’s rights within the Black Lives Matter movement, Canada’s involvement in wars which are creating human rights abuses around the world, and many other matters relating to justice for marginalized people. Speakers at this year’s event shared their inspiring stories of struggle, hope, and triumph over many odds. Local 401’s own Catherine Lelis was one of the amazing speakers and she talked about her own challenges in raising her younger siblings after their mother passed away when Catherine was just 16 years old. An awful lot of responsibility was placed on her shoulders at such a young age. 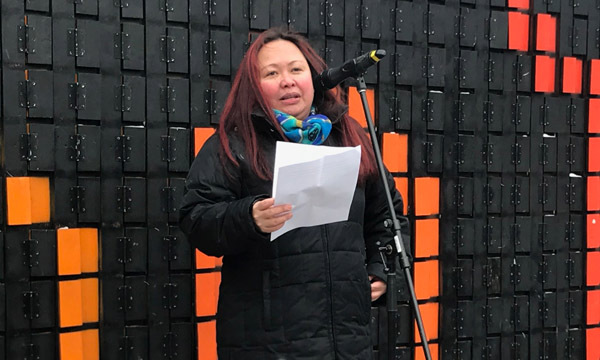 After continuing with her schooling while also working to provide for her loved ones in the Philippines, she immigrated to Canada at 23 years old to seek out better opportunities for her and her family. 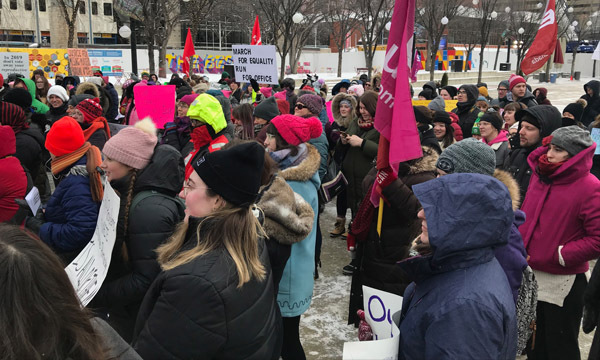 She highlighted the systemic and blatant racism she encountered upon arriving and that it was through her union and their support that she was able to make her workplace better through collective action. 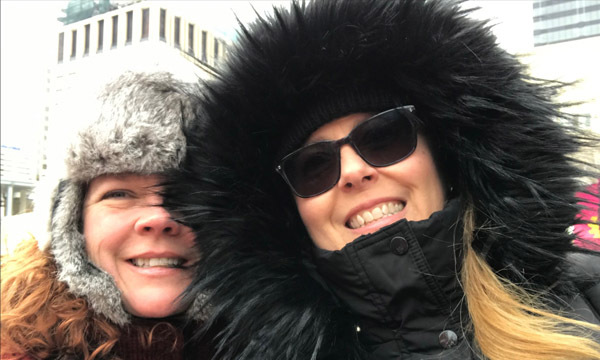 As a full-time union organizer, Catherine sees this pattern repeat itself time and again in many workplaces, but where there are unions present, justice can be won for workers who are being discriminated against. Her story of struggle was punctuated with messages of perseverance, hope, and collective strength.